OPAL Translation offers Czech translation services for Czech to English and English to Czech language pairs. Our team of Czech NAATI translators consists of experienced and expert translators that specialize in various fields including financial, legal and medical and health translations. We translate your document with our specialized Czech NAATI translators and provide you an error-free translation at the lowest possible rate. Get a free quote within 15 minutes by completing the enquiry form on this page! We are Australia’s most thorough and reliable Czech translation service that provides 100% NAATI certified Czech translation of documents. OPAL Translation is a leader in Czech NAATI translation services in Australia. As a team of project managers and experienced NAATI translators, we have delivered high-quality Czech NAATI translated documents to businesses and Government offices. 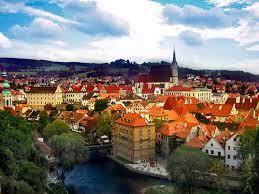 Czech is a language that’s spoken by around 12 million people, most of which reside in the Czech Republic. The historical regions of Moravia, Bohemia, and Silesia including the western and central parts of former Czechoslovakia consider Czech their official language. When translating the Czech language, one should know that Czech has a lot more flexibilities and possibilities when it comes to word order, while maintaining the same meaning. In the English language, this is not the case. Take the two following sentences as an example. The beautiful woman ate the red apple. The red apple ate the beautiful woman. Clearly, these two sentences don’t mean the same thing. But, the equivalent in Czech can have the same meaning. Whether your need for a Czech translation is small or large, OPAL Translation will be there to assist you with your Czech translation needs. Our Czech translators are experienced in translating several document types including marriage certificates, birth certificates, divorce decrees, death certificates, transcripts, diplomas, and other Czech documents that need translating. Do you have NAATI certified Czech translators? Yes, we do. In fact, our team of Czech translators are NAATI certified and work tirelessly to ensure that your documents are translated accurately. We guarantee that our Czech translated documents are of high quality. All of which has a 100% acceptance rate in authorities who require NAATI certified translations of your documents. Only the professional and experienced Czech translators can analyze a sentence thoroughly then rearrange the word order to provide an accurate Czech translation which OPAL Translation is proud to have. How long can you translate my document? Do you need your Czech translation in a hurry? If so, we can provide you with a rapid turnaround for your translation. Just complete the enquiry form on this page, and tell us when you need your document. On average, our Czech translators can finish a document in 2-3 business days. However, using our Express and Instant Czech translation services, our Czech translators can finish your document within your deadline. How much does a Czech translation cost? For as low as $69, you can get your documents translated. To get your Czech quote in 15 minutes, just fill in the enquiry form located on this page. Our Czech translation specialists will assess your document and email you our exact quote.